Australia’s property market is expected to fall for at least the first half of the new year but the outcome of two major events could determine the direction of the market, according to a new report. While the nation is in the midst of a downturn, realestate.com.au chief economist Nerida Conisbee says the slowdown is “far less pronounced than first thought”. “We’re currently in the midst of a property downturn, but we are not seeing the worst conditions in 30 years,” she said. 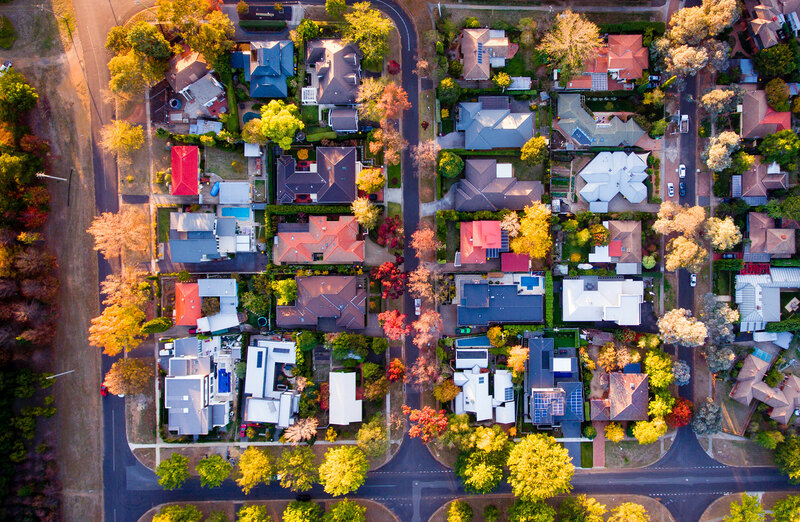 The Australian property outlook report cites the outcome of the financial services royal commission and the result of the pending federal election, poised for the first half of 2019, with proposed changes to negative gearing and capital gains tax concessions to have a decisive impact on Australia’s property landscape this year. Conisbee notes Sydney prices have now fallen just over 5 per cent from peak. “Whereas in Melbourne we’re seeing a 2.5 per cent decline from peak. The report notes that while declines are not as bad as widely reported, it does look like the worst is still yet to come in Sydney and Melbourne. Earlier this month, Corelogic revealed Australia's dwelling values fell by 4.8 per cent last year. Only four capital cities recorded growth in 2018, including Hobart, Canberra, Adelaide and Brisbane. Sydney’s middle priced suburbs are suffering the most, according to the property outlook report, while it notes Sydney's expensive areas along with the cheaper suburbs are still plodding along. “While they remain relatively low in terms of demand (views per listing), many are seeing fairly decent price growth,” Conisbee said. The report finds Sydney suburbs Kingswood and Richmond, both popular with first home buyers, are on the rise. While pricey suburbs such as Manly and Paddington are recording moderate price growth and now seeing some of the highest views per listing in New South Wales. Melbourne’s property market performance has been tracking stronger than Sydney’s, however the report expects the city is likely to see a fall in early 2019. “Potentially another three per cent for the first half of the year”. And much like Sydney, the direction after the election will depend on what happens to finance restrictions and negative gearing. Demand from renters suggests jobs are being created as people continue to move to Melbourne, which the report notes as underpinning housing demand “stemming the price falls” which are now down 2.5 per cent from peak and 1.5 per cent over the past 12 months. Notably, suburbs Middle Park and Red Hill made the national list of top in-demand suburbs and have experienced double digit price growth across the past 12 months. Brisbane’s inner city is the standout performer with prices up 2.2 per cent. The report describes Brisbane as “defying all the odds” as the market continues to hold up despite the national pressures of finance restrictions and changes to investor lending. The Gold Coast market is recording price growth, with suburbs Main Beach up 30 per cent across the past 12 months and Currumbin up 13 per cent. “A large volume of search activity on realestate.com.au coming from Sydney suggests that these price increases may be driven in part by Sydney money but also by the Gold Coast’s developing economy and relatively low levels of new development,” the report said.